During the month of November, all library fines are going towards the purchase of canned food for local food banks. Information is the Spice of Life! 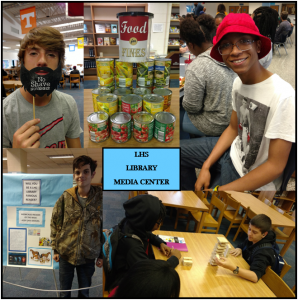 Welcome to the Lakeland High School Library Media Center. We are committed to helping staff and students effectively find and use ideas and information (Information Power, 1998). Checkout Policy: Books may be checked out for two weeks. © 2019 Lakeland High School Media Center.